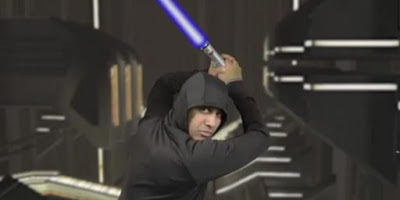 In an ill-advised effort to make his point for the online masses, Pai starred in a video dressed as a Star Wars Jedi, brandishing a lightsaber against evil internet-user safeguards. We’ve also shown that following the FCC’s restoration of Title II in 2015, ISPs rolled out faster services, with the phone companies finally upping their game to compete with the cable industry’s swifter speeds. At the end of 2014, AT&T offered what the FCC considers to be the minimum speed for broadband in only 5 percent of its territory. But one year after the Net Neutrality rules were adopted, AT&T offered this level of service in nearly 40 percent of its territory. One year has passed since Pai stripped away these rules, and not only have these ISPs begun interfering with our ability to connect with sites and services available across the web (see Public Knowledge’s report documenting all of that), the glowing investment numbers Pai forecast with a wave of his saber just aren’t there. There are so many other factors that come into play — including new technologies, interest rates and the economy, and competitive pressures. It’s all about economics on the ground, and what’s in the ground and where. But that hasn’t stopped Jedi Pai from repeatedly boasting that his decision to gut Net Neutrality has magically transformed the broadband industry into an investment-and-innovation fantasyland. Today’s numbers tell a different, less simplistic story.